Blueroot Music, David’s label and production company, works with talented musicians, producers, and engineers to release well-crafted, meaningful music for artists, organizations such as film and commercial production companies, non-profits, and churches. 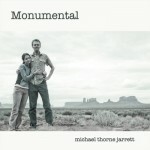 Blueroot assisted in the production of “Monumental,” the latest release by Michael Thorne Jarrett and released “All Saints Hymns: Singing Stones” last Fall. It was the first partnership between All Saints PCA and Blueroot. David’s pleased as punch to announce the release of “Monumental,” a new album by his good friend and one of his favorite songwriters, the skinny gypsy himself, Michael Thorne Jarrett. Pure poetic americana bliss, and David and Blueroot were honored to get to help with its production. 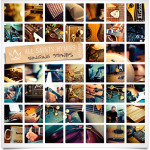 David, Blueroot Music, and All Saints Austin, PCA are pleased to announce the release of All Saints Hymns: Singing Stones, an album of worship music performed by David and a team of talented All Saints musicians. David also co-produced the record with his longtime producing partner and engineer, Boo Macleod, in association with David’s label and production company, Blueroot Music. Be inspired and encouraged in faith by americana and folk-style arrangements of well-known songs, such as “Come Thou Fount of Every Blessing,” “Be Thou My Vision,” “Praise God From Whom All Blessings Flow,” and many others. Listen to the whole album and order a copy HERE!